The pyramid was not only found on Earth alone. 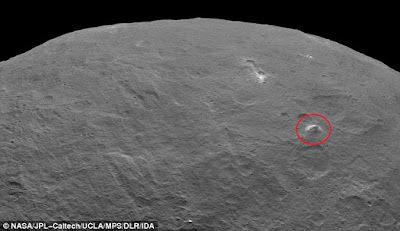 Recent research by NASA, a giant pyramid found in an asteroid. And interestingly, the pyramid was shining. 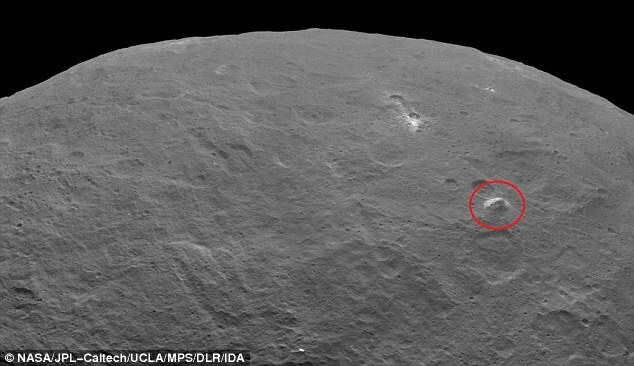 The glowing pyramid was seen from the photographs submitted by the NASA spaceprobe, "Dawn". From the pictures, the pyramid is a mountain with a peak similar to the pyramids in Egypt. And the predicted height of about 5 kilometers more, or equal to the height of Mount Blanc, the highest mountain in Europe. Why the pyramid could shine? As reported by the Daily Mail, on June 22, 2015, although it still required additional data to uncover the origin of the light, NASA assured that the light reflected by rays of the sun. The reflected light successfully because the mountain was covered in a layer of ice and salt. As a result, the mountain looks brighter than other parts of Ceres. "For the moment, it is unclear what causes the strong light reflection. 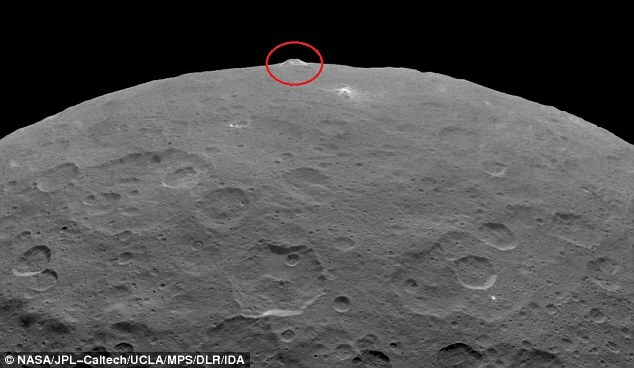 However, I am sure when the remnants of ice and salt layer that reflects light," said Dr. Marc Rayman, a principal engineer of the Dawn spaceprobe project.